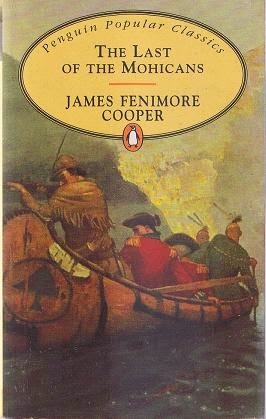 Thanks to Cooper’s The Last of the Mohicans, I learned for the first time in my life, the French-Indian war which took place in North America in 18th century. In this war, British America (colony of Great Britain) and New France (colony of France) fought for trades and colonies along the American frontiers. As New France armies were outnumbered, they sought helps from the native Indian tribes. General Munro and his armies were in Fort William Henry, when Cora and Alice—Munro’s daughters—travelled there in great danger to meet their father. They were escorted by Major Duncan Heyward, a respectable leader in the Royal Army, who was also falling in love with young Alice. As there was a risk of being ambushed by native Indians, or by the French armies who were on the way to take William Henry Fort from Munro, they recruited an Indian guide, Magua—from Huron tribe. On the way they met a white scout, Hawk-Eye, with his Indian companions Chingachgook and his son Uncas, the only survival of once great Mohican tribe. They warned Heyward that a Huron is not trustworthy, and Magua will mislead them. Magua escaped, so then Hawkeye and the Mohicans escorted Heyward and the two ladies, accompanied also by a psalm-singer called David Gamut. After that, Cooper took us for an exciting adventure through the wild forest, meeting the Indian natives, fought them, and even visited their encampment. All of these, they went through in great danger. Many times Hawkeye and the Mohicans saved them from being scalped, and they even rescued their British friends when the Hurons captured them. Magua wanted to take revenge to Munro by forcing Cora to be his wife. Later on when Munro was forced to surrender the fort, and the armies were on the leave, the Hurons massacred many of them. In the chaos, Magua captured Cora for the second time, together with Alice and David. Now Munro, Heyward, Hawk-Eye, Chingachgook, and Uncas must race against time to rescue them. In the end, it would be a battle between the Delawares (from where the Mohicans came from) and Huron tribe. The Last of the Mohicans is about the relationship between the whites and the natives, as well as between the native tribes themselves. If we traced down the history—and it was mentioned in the book—the main cause of it all is white people’s colonialism and their bad influences over the natives. Hawk-Eye told Heyward that the Delaware tribes (contained of six nations) were brothers on the beginning, until the Dutch traders landed on 1609, and introduced them to alcoholic drinks. The ‘poison’ brought to separation and disunity. And, like all colonialism and greediness of the conquerors, the natives who owned the land were expelled from their territory, to make place for the colonialists. Later on (not in this novel, though), the American even deliberately brought the Indians into destruction by their continual genocides act (American Indian Holocaust). I loved this book, although Cooper is rather spendthrift with words—like Mark Twain said (Twain re-write The Last of the Mohicans, and found that Cooper has ‘used 100 extra and unnecessary words in the original version’). I enjoyed the fast-paced adventure, the thrill of the Indian’s whoop which precede battles, and the funny moments when Hawk-Eye disguised as bear; but especially I loved to follow the calm and dignified attitude of Uncas and his father in any condition. Five stars for The Last of the Mohicans! Everytime I heard (or read) the word ‘Machiavellianism’, my mind would involuntarily relate it with cunning aspects. That’s why I had a doubt while deciding to add The Prince into my reading list. But, I was so curious about this book, and so I braced myself to pick it for my History Reading Challenge. I am glad I did it, because it turned out to be interesting; it widened my perspective of state’s ruler and power. Machiavelli wrote The Prince to Lorenzo Di Medici as a guidebook for a prudent prince to keep his state prosperous. Although Machiavelli wrote especially of monarchy, most of his guides also benefit modern republican states. I have made a diagram of monarchy models, how to achieve and maintain it. But what I like most is his guides for being a prince, or a ruler. Some of his ideas are too unconventional and even cynical, that people put negative labels to Machiavelli. But I think we ought to separate our ideal with the prosperity of a country or state. I believe that stability is the key to prosperity, as without it, any rulers—competent though he was—would have difficulty to do anything. So, I agree with Machiavelli, that to be feared is more important for a ruler than to be loved; to be slightly miserly is better than to be overly generous. Because people, who love you in better times, could easily become your haters when things gone badly, and who knows….what would happen then? Whereas if you are feared, you can put stability over your state more easily, while at the same time you are trying to bring prosperity to your people. In conveying his principles, Machiavelli seemed to be lack of consciences or morality. He advised us to always be good, but must be able to do evil when necessary—to be fox and lion at the same time. But, again, I think it is reasonable. To deal with vast multitude in a country is not a simple task; stability is always the key. Thanks to Machiavelli, now I understand these things; that seeking the right ruler is far different from having an ideal patron. Here are more of his analysis. The Prince is not purely a history. 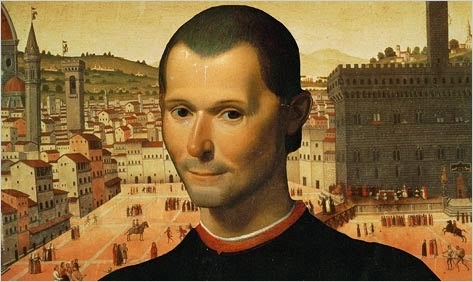 Although Machiavelli used actual histories—mainly Italian rulers, but also other European ones, and even Greek and Roman’s leader—this book is more focusing on politics and power guide book and philosophy. Machiavelli’s analysis is thorough and sharp, and his writing is brave and blunt. 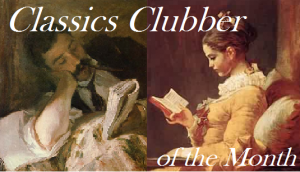 But that makes this book more interesting…and classics! Three and a half stars for The Prince. The Prince is not a pure history book, it is more a guide book to gain and maintain power in politics or statesmanship; however, Machiavelli based his analysis on historical great men and their way of ruling. As I found not every WEM inquires fit the book theme, I would only use some of them (for every stage of reading). Does Machiavelli state his purpose for writing? Machiavelli dedicated this book to Lorenzo Di Medici (nephew to Pope Leo X). 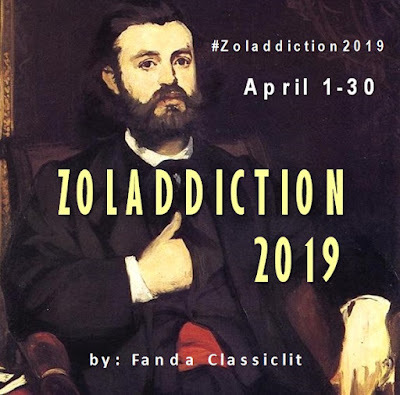 He analyzed actions of great men regarding politics and statesmanship, with the hope that Lorenzo would profit this ‘how to’ summary to run an ideal state and to rescue Italy. It is mostly about Italian’s statesmen, both who were prosper and ruined; the present ones as well as historical ones. But Machiavelli also mentioned great men from ancient era: Roman, Greek, and even Moses. Machiavelli dreamed of having a prudent prince with grandeur, who would be able to free Italy from its current foreign dominion by applying his exhortation. I think this book is as philosophical as it is political. 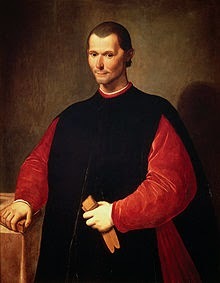 Machiavelli had the courage to think outside the box (being under Renaissance influence) regarding qualities of a ruler. To be a good ruler, a prince must maintain his power, and for doing so he must be more feared than loved, and sometimes must be a bit ‘cruel’, when necessary, to create stability. It was contradictory with our moral conscience, but I think we need this guide to not deviate us from the right path to be a good ruler (and in some points, to choose a good ruler). What relationship does this history has to social problems? Machiavelli’s ideas are still relevant until now. Although he wrote much on princedom or monarchy, his guidance are very useful for any type of statesmanship, including our modern democracy. Interestingly, Machiavelli also pointed out how citizen or the people usually act towards their rulers. I found it very similar with how we act in this modern era. According to Machiavelli, we could judge the strength of a principality from his ability of maintaining the state by himself. A strong state owns its army and provision to maintain itself, but a weak one would need others’ help to do it. But it is not applicable in an ecclesiastical principality, or the Catholic Church. For, being sustained by God, it is more easily maintained. *Own army—the best choice; it’s better to lose with one’s native army than to win by others’. *Mercenary arms – paid soldiers—disunited, undisciplined, faithless, because money was their only motive; while the captain only concerned for his own greatness. *Auxiliaries—borrowing armies from neighbors—even more dangerous than mercenaries, for if they won, you would be their prisoner. *Mixed—contains of own army and mercenaries or auxiliaries; still better than the last two, but much inferior than own army. To succeed, a prince should spare much of his time to arm himself; by physical exercises, as well as reading histories. A prince should possess both good and bad qualities, so that he could use them accordingly when necessary; although he must not create a scandal. *Generous vs miserly: As a prince, to be generous won’t be appreciated; and if overly done, it will exhaust your resources. Moreover, it will make your people greedy. However, you can be liberal (or considered to be it) when you are in process to become a prince. You can also be liberal when you don’t own your property, for it won’t harm your reputation. It’s better to be named miser than to be hated as a liberal. *Merciful vs cruel: A good prince is better feared than loved—if one could not possess both equally—for love could change in difficult times, but not fear. Excessive clemency would raise disorders, while a little cruelty would make people more united and faithful. But the prince must avoid being hated although still feared. “Men love at their free will, but fear at the will of the prince.” seems very true! *Trustworthy? or not? : A prince must be a lion and a fox at once; or at least to seem to have both qualities. He must know how to use both qualities; he mustn’t deviate from what is good, but be able to do evil when necessary. *Avoid hatred: Do not deprive your people of their property and women; these will make them hate you. By avoiding hatred you would eliminate the chance of conspiracies, as it’s hard to conspire when people love you. As long as you keep the nobles content and the people satisfied (by establishing a parliament as a third judge, or make the military respect you), there will be little chance for conspiracy. *Fortresses—could be useful or not, according to circumstances, but it is more important to not being hated by the people than to build fortresses. *To gain reputation—a prince should pursue great enterprises and proof of prowess. Greatness in administration was important too. However a prince should choose side rather then being neutral; but never take a stronger force as an ally, for if he wins, you’ll be under his power. He should also reward those with merits and encourage citizens to safely pursue their trades. *Picking ministers—is important, because you are judged first from choosing the right servant. A good minister should think of more your needs than his own. And the prince should honor and be kind to his minister to get his loyalty. *To deal with flatterers—encourage them to speak the truth, but if they all speaks, it will deviate the prince. The best way is to have a council, so he’d only take counsel from no one except it; and they could only speak when he wish it. After that he must be determined with his decision, or else he would not be respected. *Italian Princes lost the states—first, because they had defect arms. Second, because either the people were hostile to them or they could not trust the nobility. *Fortune: is it influential?—Fortune influences only half of our lives, while the rest depends on us. The problem is men’s nature towards circumstances is fixed; they succeed as long their nature conform the circumstances. A Prince should work harder and take more risks to succeed. *To free Italian from barbarians—is Machiavelli’s advices to Medici family to conquer Italy using their own armies according to his analyses in this book. I have at first worked out the first ten chapters of The Prince not knowing what I was going to get. I found each chapter boring, although not as tough as I have thought. But then I forgot them as soon as I got to a new chapter. So, after ten chapters, I was like, ‘Why should I read all this stuff?’ I was on the edge of giving up this ‘light-but-hard’ book for good, but then….I had a better idea. 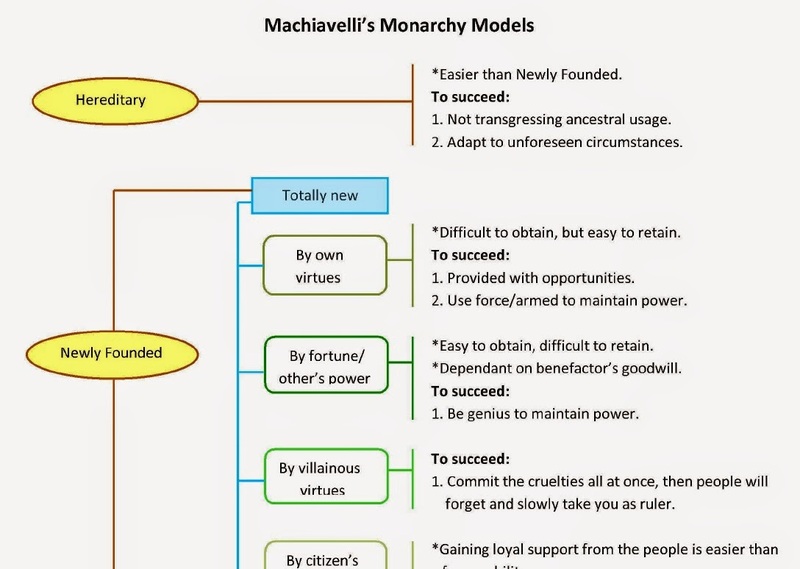 If I made a sort of diagram, maybe I would get better understanding about Machiavelli’s idea on states and governments. So, I went back to first chapter while jotting down the ideas in a colorful diagram (hey, I always love to work with colors! ), and I found that The Prince is actually interesting if we understand what Machiavelli is talking. I am reading The Prince for WEM, and so I think I will be doing some chapter posts before getting to the level inquiries. For this first nine chapters, I summed it in a diagram; it was about monarchy models according to Machiavelli. I have submitted it to Google Drive, you can click the link below the image to see the complete diagram. 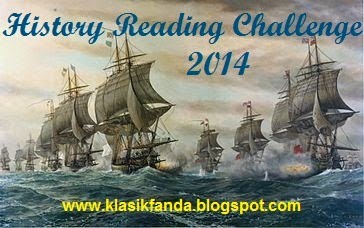 This is the first check-in of our History Reading Challenge 2014. It’s been four month since we started our sail to the past. How have your progress been until now? Some of you have even read (and submitted the reviews) early on January. Wow! I really admire your excitement! For myself, I have read two histories (of six I have planned): Plutarch’ Roman Lives and the biography of Cicero by Anthony Everitt. Well…Rome is always fascinating me, and from 6 I have picked for this challenge, 3 are about Rome. The first one was quite tedious, but the second one turned out to be very entertaining. What about you? 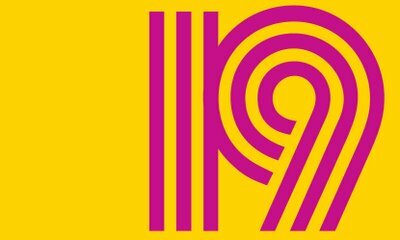 What have you read, and how did you find it/them? How do you feel about History Reading Challenge so far? Are you excited to read certain book? Or do you feel this challenge is too much for you? Are you reading a history right now, or do you intend to read one very soon? Share with us…. 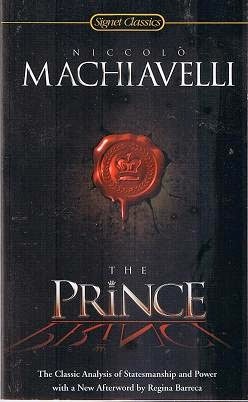 I am reading Machiavelli's The Prince this month. My copy is onpy 160 pages, and I hope it would be as light as it looks like... But what I'm looking forward now is my another Rome history, The History of the Decline and Fall of Roman Empire. THAT would be an exciting reading! Can't wait till next month! This is only a check-in, so we all can share our progress, to know how others have been doing, and to encourage one another. You don’t need to post anything, but if you’d like to post your check-in, please feel free to do so, and leave your URL in the comment. You are welcomed to interact via comment box, but if you just want to keep silence in the background and just seeing how others been going, it’s OK too, no pressure… I only hope we are all having good time with our history readings.